As regional leaders continue pursuing a path of positive transformation, they’re targeting one of the area’s long-running concerns: crime. New data show crime rates may finally be reversing. Local civic and community leaders generally agree that it’s hard to set the Rockford region on a path to prosperity without addressing the city’s high crime rates. Indeed, in 2016 the city experienced some 2,601 violent crimes, 543 robberies, 26 murders and 5,761 property crimes, according to data from the City of Rockford. The nonprofit Transform Rockford, leading a movement to strategically revitalize the region, has spent the past five years connecting bold ideas with community actors on many fronts, including crime. Now that the City of Rockford has released its 2017 crime data, there are promising signs that improvement strategies are gaining results. Police recovered about 242 guns last year – a promising statistic, O’Shea says, because it demonstrates fewer guns on the streets. The murder rate dropped, as well, but already the new year has brought several high-profile homicides. O’Shea says he’s reluctant to use murder rates as a true benchmark of crime. O’Shea believes the recent improvement in other crime statistics was influenced by three major factors, starting with his strategy of focused deterrence and community engagement. Since he arrived on the job in 2016, O’Shea has worked to build alliances with ordinary citizens, attack crime at its root causes and target the “worst of the worst” criminals. Over the past year, officers have spent more time building trust and connecting with the public at schools and other gatherings. In two high-crime neighborhoods, “resident officers” have begun handling local calls, connecting with neighbors and addressing chronic issues that cause repeat calls. “The people in those neighborhoods are loving having the officers there and resolving calls for service,” says O’Shea. He expects to dispatch an additional two resident officers this year, with another five planned for the years ahead. Local officers did more in 2017 to collaborate not just with the community but with law enforcement agencies at the county, state and federal level, including the Drug Enforcement Agency, federal prosecutors and Homeland Security. O’Shea meets his peers at least once a month, to keep agencies working in tandem. Technology is also playing an important role in solving crime and targeting criminals. Local officers are now using special license plate scanners – mounted on patrol cars and at key intersections – that can flag suspect vehicles and identify criminals’ patterns. O’Shea expects a new gunshot detection system to be fully activated within the next few months, and although it promises to increase “exponentially” the calls for shots fired, it provides one more tool to target criminal behavior. Work continues on a high-tech intelligence center at the department’s District 2 office, where police are using technology to further solve crimes and monitor offenders. Among its many tools, the center can pull camera feeds from key thoroughfares around the city. O’Shea hopes the center will someday have the capability to connect to video systems at partnering homes and businesses when crimes are committed nearby. To a lesser extent, O’Shea is also seeing improvements in local domestic violence rates, which he says accounts for nearly one-third of all calls to police. Mayor Tom McNamara estimates the department spent some $1.2 million investigating such calls in 2016. Expect rates to drop in the coming year, as the mayor’s new Office of Domestic Violence and Human Trafficking Prevention steps into action. Derived in part from work at Transform Rockford, the office is managed by Jennifer Cacciapaglia, a key member of Transform Rockford’s crime “spoke” team who most recently targeted domestic violence in a nonprofit role. The police, meanwhile, will begin coordinating with this new office and a lethality assessment program recently instituted by Judge Rosemary Collins in the region’s Illinois circuit court. The program attempts to reduce recidivism by connecting victims and offenders with services or treatment options. “We’ve seen a couple of positive outcomes since we implemented this program late last year,” says O’Shea. In the coming months, expect to see the deployment of additional tech tools, look for more collaboration among organizations, and watch for traffic officers upping their game in enforcement and education. 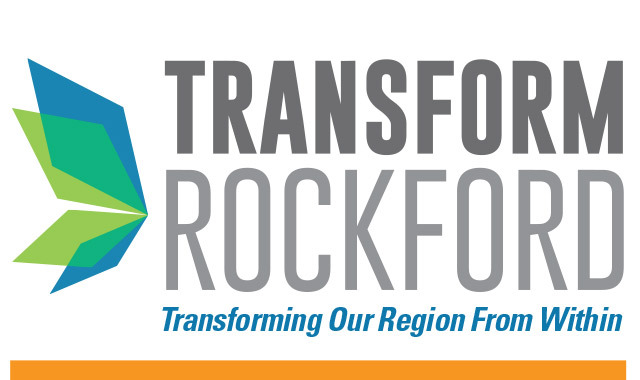 For more information about the effort to Transform Rockford and the region, visit transformrockford.org. This entry was posted on Tuesday, May 1st, 2018 at 11:57 am	and is filed under Northwest Business Magazine. You can follow any responses to this entry through the RSS 2.0 feed. Both comments and pings are currently closed.